The new LED floodlights by Chalmit available from JT Day Pty Ltd are designed for use in high level hazardous areas. Arran LED floodlights are specifically designed for applications exposed to moisture, dirt or dust. Being highly vibration resistant, the floodlights can be used in locations containing flammable vapours, gases or combustible dust. Arran LED floodlights are energy saving models offering instant-on output and 80,000 maintenance-free hours to L70 (70% initial lumens). 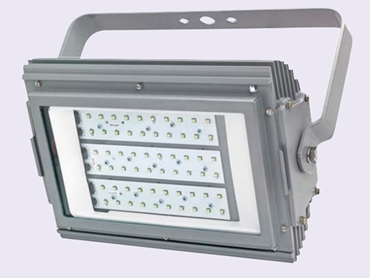 There is a high demand for the clean white light delivered by these floodlights for use in Zone 1 and 2 applications. Made from an aluminium alloy with epoxy powder finish, the Arran range can be supplied with a pole mounting assembly, wire protection guard and anti-glare shield. Chalmit specialises in the design and manufacture of hazardous area LED lights, first releasing its Nexled bulkhead LED light in 2004. Since then Chalmit has supplied over 10,000 luminaires worldwide. LED lights offer several advantages to the user including lower energy requirements and longer lifespan. Another benefit of LED technology is that the components are similar worldwide, eliminating any risk of incompatibility between European and American lamps and control gear.